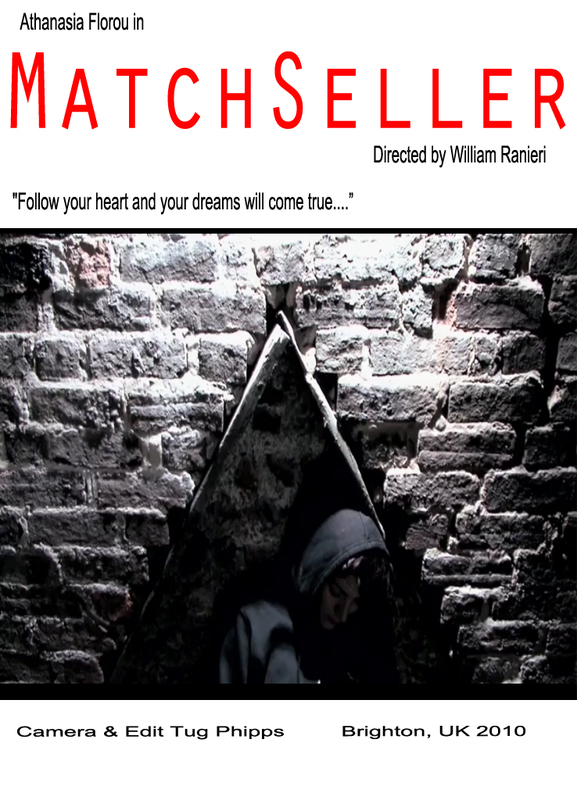 WIlliam Ranieri set up a new challenge for the Brighton Filmmaker Coalition; to produce a short film without the use of dialogs. We had 9 film taking part of the challenge and this is one of them. Shot in stop motion technique ( over 7000 pictures were used) , Matryoshka tells a story within a story. A creative child mistreated by his father will preserve his imaginary world even when in his adult life will found himself homeless. The wonderful music of Michele Giuliani blends as for magic with each frames giving Matryoshka a unique and memorable touch. Cast and Crew credited at the end of the film. a surrealist vision of the world throughout the eyes of different women .A mix of writing style clash and stimulate the viewer, searching for an answer without knowing the question. In different short episode “What Makes Us Human”, washes away conventional dialogs technique and substitute them with poison strong messages and abstract free interpretation around the world of women . A work in progress script , roped together by the director , glued into a shell of rhythmic sequence and beautiful music. The amazing soundtrack featuring artist from Japan, Uk, and France will simmer the different ingredients of this conceptual piece into a pleasant experience. The film centers around a surreal and dreamlike journey that is undertaken to collect a living piece of flesh from a diabolical butcher. 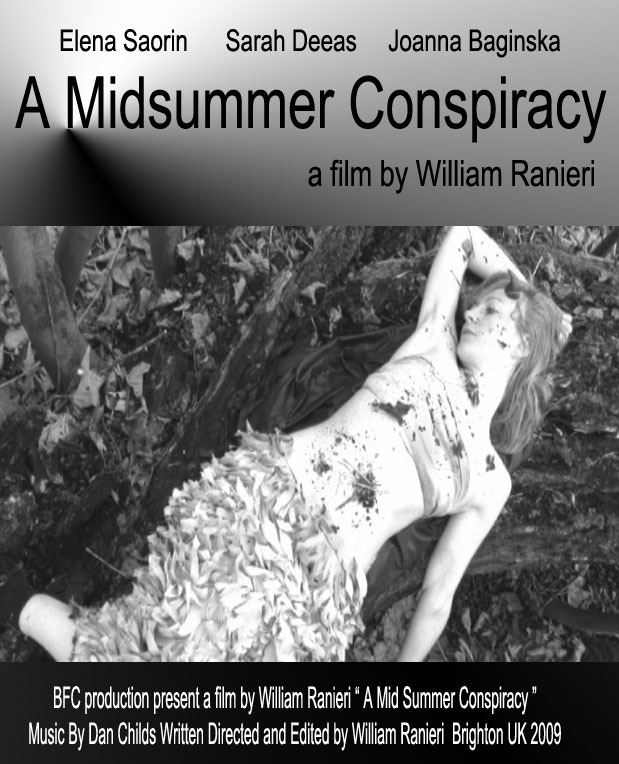 The film is an exploration of the possibility of the reconciliation of disparate human drives and desires, using strong, archetypal characters and referencing Dante’s Divine Comedy. Once upon the time …there was a writer who just couldn’t go on with her work… it seems to be hopeless …. Until…. , this is how the short begins, not giving to the viewer a real chance of interpretation to the rest of the story. But why throwing Shakespeare’s character Puk into a Nazi-like environment , and burning “it” on a book form, is more than a metaphor. The neglect of a new form of writing, bring the new celebrated theater play writer, into a spiral of self reproducing acts, without the chance to beat who is universally consider the Master. The Muse and The Inspiration, of a human form, will direct the empty writer into a symbolic journey, where killing the self representing Shakespearean character, will indulge into a self motivating flow of brand new ideas. When Hans Christian Andersen wrote ” The Little Match Seller” in 1846, probably had no idea of the hidden cue a bunch of people will have 164 years later. But surely the story as it is, appear to be a countless source of cues. What if the little girl lost in the dark was there for a reason, probably poverty but why? the cause that brought her to die was the actual temperature or something coming form a different source? Why she keeps having distorted vision of the reality? Who really is the Match Seller? Does she sell or buy? but only his latest visions…..
Trialogue is a word created around 1992 in a south Italian student’s house by the explorer of the border of the imagination Anthony Ettorre. The word, secretly kept in the back of my mind for many years, came out in a drunk night of the 2011 while a bunch of creative was working around a non existing script. The Trialogue it’s based on perception of a dialogue between many , without a physical interaction but through separate paper secretly written in chain. This is how this film was born. Laurie Chevallier – Nilden Okzan – William Ranieri feature the beautiful Music Purple Electric Violini Concerto by Ed Alleyne Johnson. A Special Thanks to Piotr Emanuel Dorosz for his amazing capture of the moon which gracefully open the film. with Francesca Sanzari , Piotr Dorosz, Oliver Harrison and Sarah Deeas. A lonely day , looking for myself , I found those words. Four characters dropped into four pre build dimension consecutive , progressive and complementary , filmed in one single circular shot. One room dived into stage of life . The first, the start, belonging to happiness , the second , , the evolution, developing the complex understanding of utopia, the third discover the regression through reality and the final one , senile, totally surrender to the imagination. The director, conceived the idea, asked the actors to write their own script, and then worked on it , meet them separately, change it where necessary and personalised the way and the methods giving full freedom to individual performance. In the editing, thanks to the accurate sound design research and the use of some special effect, the movie takes shape and caracter. Structure Vitae it’s a movie without a evident plot but with a structure, the structure of life.